Wonderful news, we have donors who has generously offered to match any donations that come in to The Malawi Water Project before December 31st, 2014 to a maximum of $3000. This will be very helpful in continuing the work of the Project. We have waiting lists of villagers wanting a biosand water filter. The teams in Malawi are having difficulty keeping up with the demand. As well as constructing and installing the filters they are passionate about getting information on proper sanitation and hygiene to villagers who are experiencing illness due to water borne diseases especially the children. The teams would like to focus more attention on presentations to schools in remote areas since this information is so important in preventing illness. Your donation before December 31st will be doubled and will provide much needed support to the teams who are working so hard to bring clean water, proper sanitation and hygiene to remote areas of Malawi. 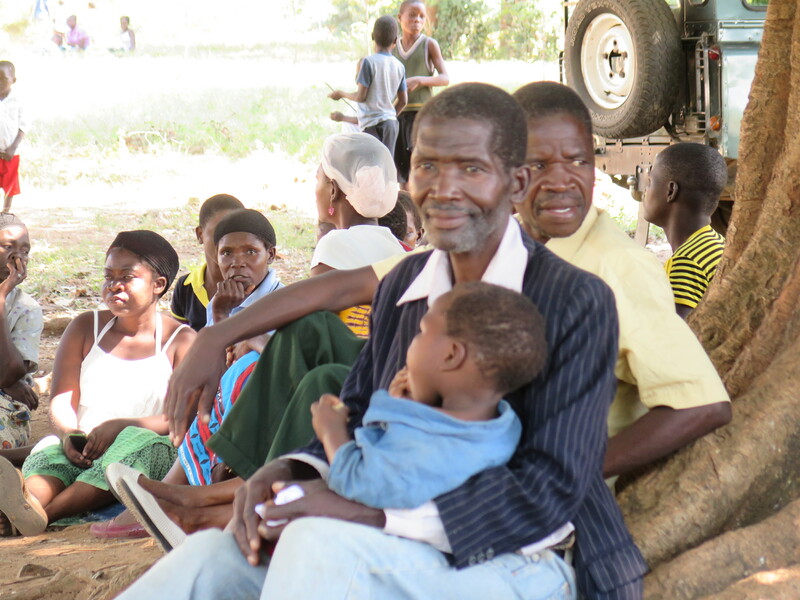 A grandfather waiting to learn about health and sanitation to help keep his grandson healthy.